LDS Teaching Tips for General Conference: Do I Believe? I loved Sister Oscarson’s talk, and it really made me evaluate my own testimony, and whether I truly believe. To begin your lesson I thought you could display 2 plants or flowers. One healthy and alive, and one that is unhealthy on the verge of getting thrown away (haha). In order for the plant to grow, what must we do? Invite the people in your class to share their thoughts. You could then ask, “What if I water it and nature it for the first little bit? Will that be enough?” Obviously, no. Discuss the things that you do to care for a plant and why we need to do those things, and then compare this to your testimony. Our testimonies, just like a plant, need constant nourishment and care in order for it to stay healthy and grow. That would be similar to caring for a plant only in the beginning. But we all know that once you stop caring for a plant and your testimony you risk losing it all together. To believe, we need to get the gospel from our heads into our hearts! It is possible for us to merely go through the motions of living the gospel because it is expected or because it is the culture in which we have grown up or because it is a habit. After reading the quote, you could point to the plants/flower and ask where their testimony stands? Is it alive, healthy, and growing? Or is it thirsting for nourishment and on the verge of dying? Sister Bonnie L. Oscarson discusses 8 principles/teachings that we, as members of The Church of Jesus Christ of Latter-day Saints, believe. For this section, I thought it would be great to split the class into groups and have them discuss one of the principles Sister Oscarson shared in her talk. Split the chalkboard into 8 sections, one for each group. 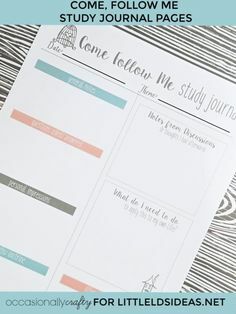 When everyone has had a few minutes to discuss their topic, invite them up and have them write down their topic (at the top of their section) and then have them share their thoughts or things they discussed. As they share things, you could be writing things down in their section or have someone from the group. Continue until all groups have shared. When I read Sister Oscarson’s talk, I had the idea of creating small cards for each of the principles/teaching she shared in her talk. 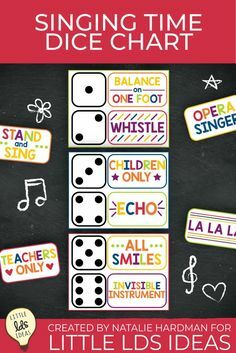 These would be great to use during your lesson! Here’s a peek at some of the study cards included in my printable. As you split your class into groups, give each group one of the cards. Have the group read their card, and then discuss it’s principle/teaching. I created these cards also as a handout. Wouldn’t these be so great on a ring? You can keep the set of cards in your scripture bag, church bag, etc. I also thought they would be great to put in your scriptures, instead of on a ring. You could find a scripture that talks about each of the teachings, and slip the card in. They would also be GREAT to have around your home or in your car. Tape one onto your bathroom mirror, have one beside the sink, or in your car. As you go throughout your day, you will see the card, and you can ask yourself…Do I Believe? I also included a quote card, as well as 2 additional cards for you to write down any thoughts and then how you will apply this talk to your life. 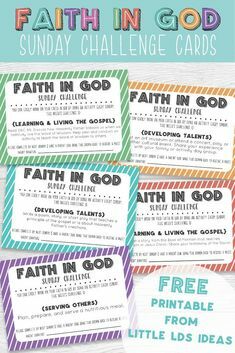 Today I am sharing my ‘Do I Believe’ Study Cards. I had so much fun designing these cards, and I couldn’t wait to share them with all of you! I suggest printing these on white cardstock. You can print these at home or have them printed at any printing place. Just save the file to your computer and then save it onto a USB or upload the file to the place you will have them printed. Click the link(s) below to Print! Click HERE to print my ‘Do I Believe’ Study Cards. Click HERE to print my ‘Do I Believe’ Study Cards with black lettering. Click HERE to print my larger (4 X 6″) ‘Do I Believe Cards’. 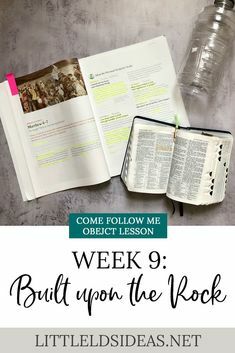 I hope you enjoy my teaching tips for Sister Oscarson’s talk and are able to use them for your own lesson, whether it be a Relief Society lesson, YW/YM lesson, or a Family Home Evening lesson. I always love it when the teacher turns the teaching of the lesson over to the class! 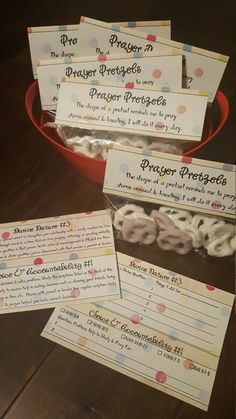 Thanks for a great idea and cute printable! I love how you made these Believe cards. Such a great idea! Thanks, Camille! When I read her talk, I knew I wanted to make some type of cards to study the things that she talked about, and to ask myself the question, ‘Do I Believe?’. I think this is so great! The part about not caring for our testimonies, and they stop growing is true with anything in life! Thanks, Amberly. It is so true, isn’t it? What a great talk and a great way to have some personal reflection! Super cute printables too!! Thank so much for creating the printables. I had a hard week and didn’t know how I was going to teach the lesson and the it ended up being very spiritual. That is great, Mara! I totally get those busy weeks. Im so glad that your lesson turned out great. Thanks for the comment. ? 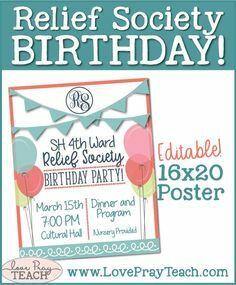 Your printable’s are awesome except it is really HARD to read the white print. Especially old ladies eyes have a hard time reading it. I am teaching this talk in RS in a couple of weeks… is there any way the color of the font could be changed to black? Thank you for all your hard work to help others. You are wonderful!! I would love the link to this with the font changed to black. My lesson is this Sunday and my sweet elderly sister can’t read the beautiful originals. Thanks! Hi Natalie! I just sent the files over. And since so many people are interested in the dark font, I went ahead and added a link to the blog. 🙂 Thanks so much! Good luck with your lesson. Thank you for your wonderful ideas, i am not nervous to teach my RS lesson now. Thanks, Elisha! You’ll do great! Mandy, you are so sweet! 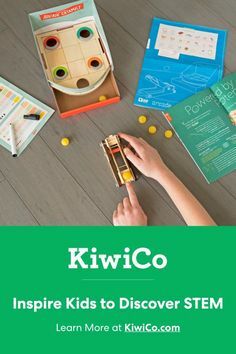 I love creating my printables, and love to hear that people enjoy them and are able to use them. If there’s a specific talk that you will be teaching just let me know, and I will try my best to come up with something. 🙂 Thanks so much for the comment! Is there any way to print just one of the cards as a 4×6 for a lesson handout? Oh, oh, me too!!! I’d love any or all of the two notecards (thoughts/apply) or the final quote by Sister Oscarson. 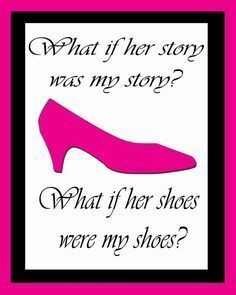 Those would be fabulous! President Gregory J Hamilton, Red Hawk Ward, Sparks, NV. I did not grow up in the Church…I am a Convert of less than 3 years (im currently 44 years old).. I was recently called as the Elders Quorum President of my ward. I missed out on Primary and Young Mens. This lesson seemed like a easy one on the surface.. a “no brainer” … DO I BELIEVE? For me it is a resounding “YES” .. (Why else would I be spending so much time magnifying my calling)… Digging into Sister Oscarsons General Conference talk, the message is anything but simplistic. Sometimes I need these in deep, complex lessons to be “couched” in a way that is simple, straightforward and easy to understand… and easy to teach my Quorum (who have several Elders that are struggling with their Testimony). I appreciate the time and effort you put into this “blog”… I am using your work as a template to reach out to those who seem unreachable at this moment. Thank you so much for the wonderful comment, President Hamilton. I’m so glad that my ideas and thoughts were helpful in your lesson preparation. Hope it went well. ? Thank you for your tips with Sister Oscarson’s talk. I get to teach our RS on the 28th of this month, and I’ve got my plants growing in their respective states of “commitment”. I read in the comments that you might have the handouts created with darker text and possible a bigger size…could I get a copy is available. I think it would be easier for our sisters to read as they discuss their topics. Hi Lori! I am so sorry I haven’t emailed you the files. The last 3 weeks have been crazy, and I haven’t been around my computer very much. I was driving home from Utah this evening and remembered your comment! I can send the files over first thing tomorrow morning if it’s not too late. If it is, I am so sorry! Hi Sheena thank you for your wonderful blog. I read that you were sending files with the do I believe cards with darker text. Could you send them to me please. I would be most grateful. I just sent the files over AND I added a link to the blog. 🙂 Thanks! I would love, love, love to have the printable in a 4×6 handout format like the sisters above. Any or all would be appreciated. I teach 4th Sunday RS on 9/25 and your visual and lesson are amazing. I wish I had one ounce of your skills!!! Hello! Could I also get a 4 X 6 version of the cards? Thannk you SO much! Hi Kimberly! I just sent them over and added a link to the post. 🙂 Thanks! Wow! These ideas are wonderful! May I please have the 4×6 version of these “Do I Believe” cards sent to my email? Thanks for sharing your talents! Did you tell them their topics beforehand? Or how did you go about presenting the 8 topics? Hi Norah. I am so sorry I never responded. I have updated the links for each of the printables, so they should be working now.